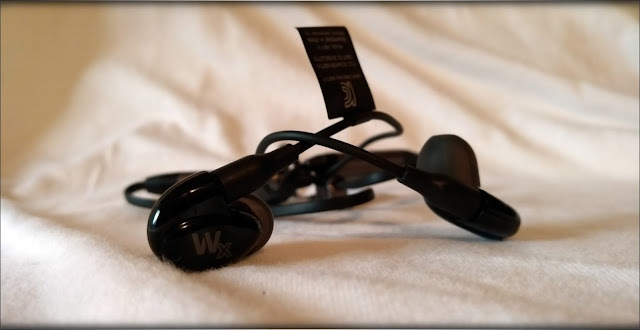 Westone have carefully tuned the single full-range balanced armature driver in the heart of the Wx for a sound with enhanced sonic detail and a frequency range that extends beyond the norm for this kind of setup. 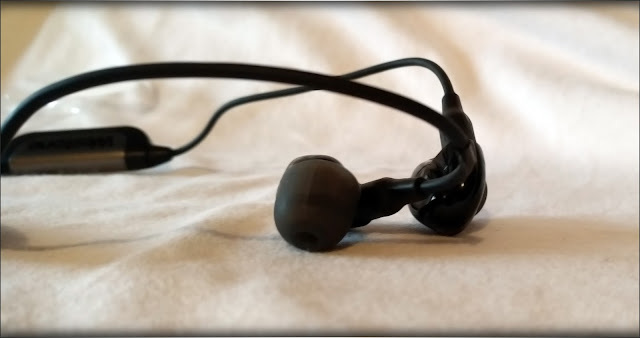 Westone created an awesome IEM with their UM1 which was a bassy, warm and relaxing earphone, and they're now offering a similar IEM, but this time with Wireless abilities through their rather intriguing MMCX Bluetooth cable. 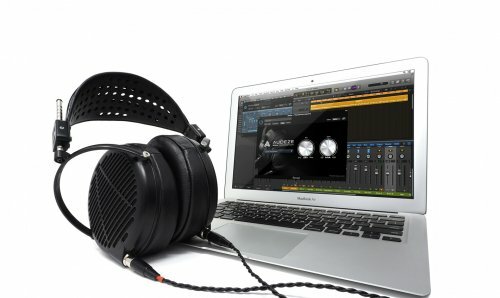 We're going to put their latest creation to test and compare it to a few IEMs it can sound similar to. 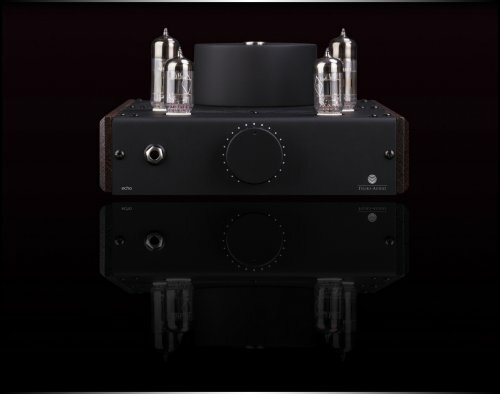 It should be noted that I have absolutely no affiliation with Westone or Hifiheadphones UK, I am not receiving any incentive for this review or to sweeten things out. 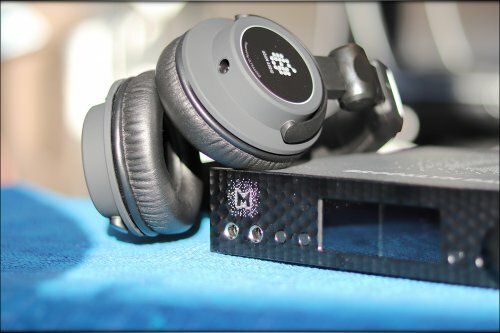 This review is not sponsored nor has been paid for by Westone or HifiHeadphones UK or anyone else. 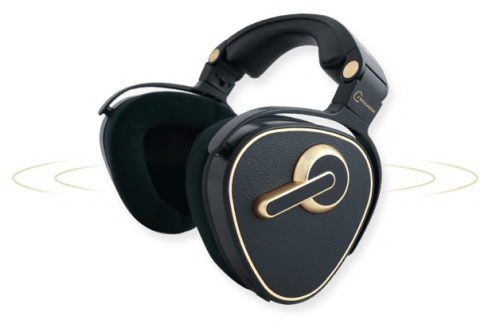 I'd like to thank HiFiHeadphones for providing the sample for the review. 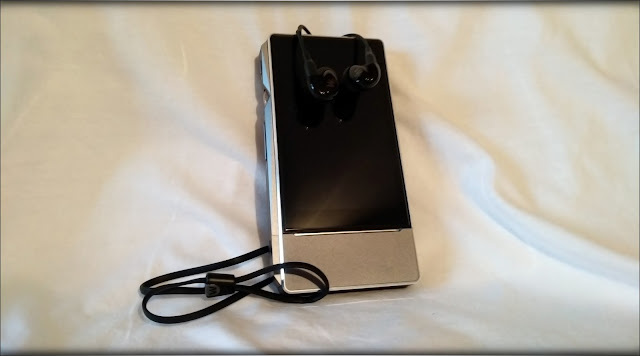 The sample was provided along with HiFiHeadphones's request for an honest and unbiased review. This review will be as objective as it is humanly possible, and it reflects my personal experience with Westone WX. 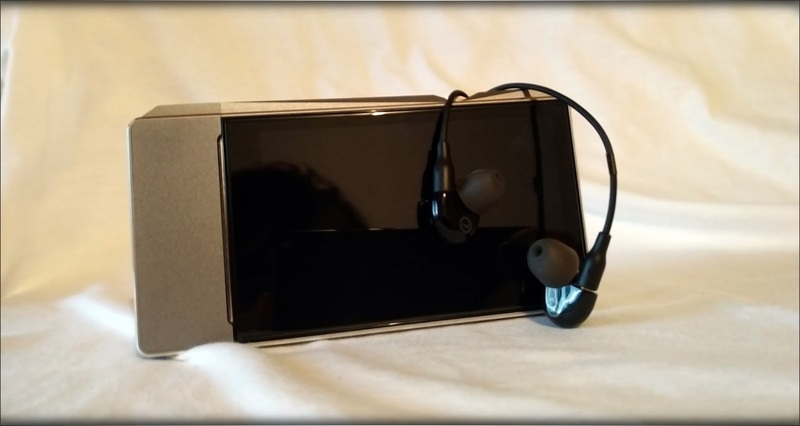 Every opinion expressed is mine and I stand by it, the purpose of this review is to help those interested in Westone WX find their next music companion. Similar to how Westone UM1 was packaged in a somewhat professional looking package, Westone WX comes in a rather same-ilk package. Westone seems to be a company which likes to imply that their products are created with professionalism and they surely design the package to look as such. 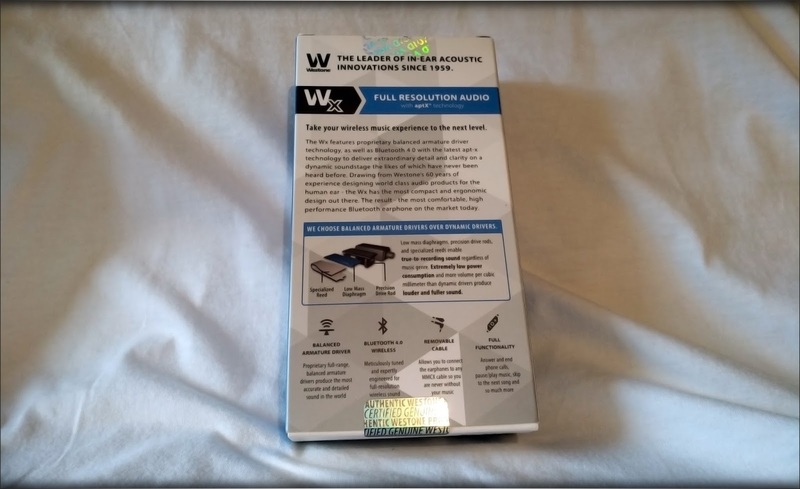 The contents of the package are usually good, and this is also the case with WX, the tip selection especially being rather large and including a lot of tips of different sizes and materials. Happily, Westone is an expert in comfort and we trust that all their IEMs will be an excellent choice for those looking for comfort. You can also find a USB charging cable and the MMCX Wireless cable in the package. 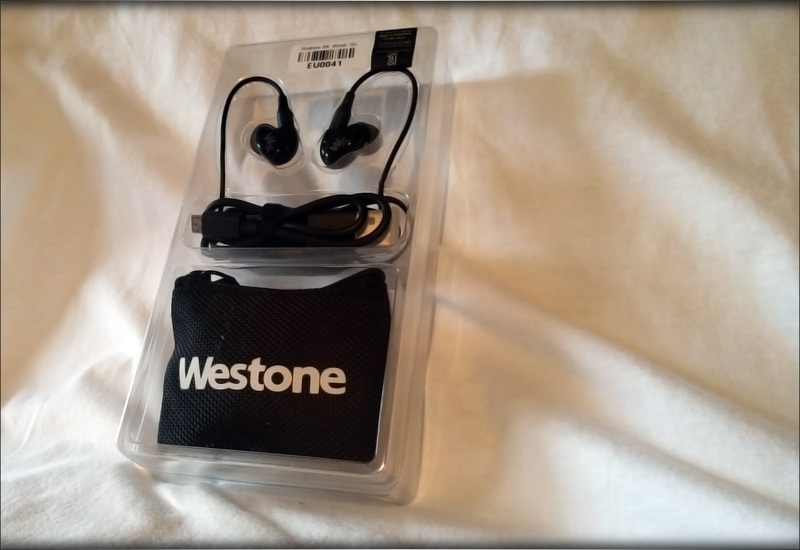 Westone WX is a 1 BA driver IEM with detachable cables. There is a carry pouch included in the package, and although it doesn't provide protection against mechanic shocks and pressure, it surely protects the beautiful WX from scratches and offers a nice solution for keeping them while not in usage. Somehow, the fact that they have a wireless cable, which is very short, seems to work rather well with the carry pouch as the cable will not tangle while they are stored in there. All in all, the contents of the package are good for a 150$ IEM, and WX feels rather nice and high-quality. 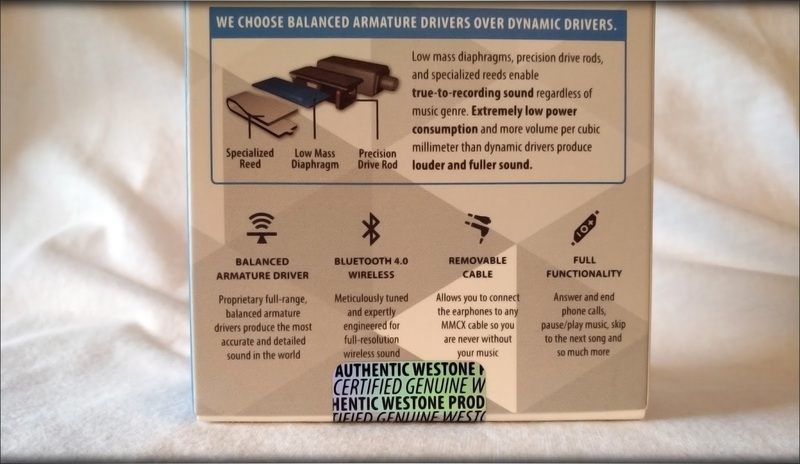 The build quality of Westone WX is similar to that of Westone UM1, plastic all-around, but a very high-quality plastic which we trust to take a good amount of usage before showing a single scratch. This time though, the IEM Shell is actually glossy and opaque rather than transparent this time around. The IEM body looks beautiful and we can't express how nice it looks and feels, with a deep, piano-black finish and a flawless glossy surface. The Fit is within the golden area, Westone having a habit of creating extremely comfortable IEMs, WX being part of this tradition for them, having a deep fit with a good seal, being quite good at isolating the listener from the outside noise, and providing a hassle-free overall experience, regardless of the ears shape and size. The other thing we'd like to mention is the Wireless MMCX cable, which is, in one word, amazing. 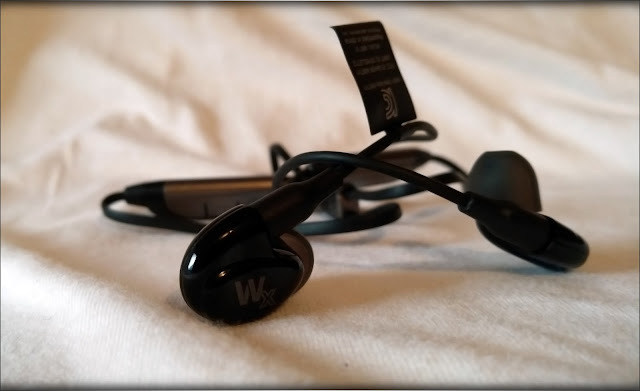 The cable itself is very light and nimble, offering a great usage experience for WX, but also being compatible with other IEMs, some of which weren't even designed to be used with a wireless cable. 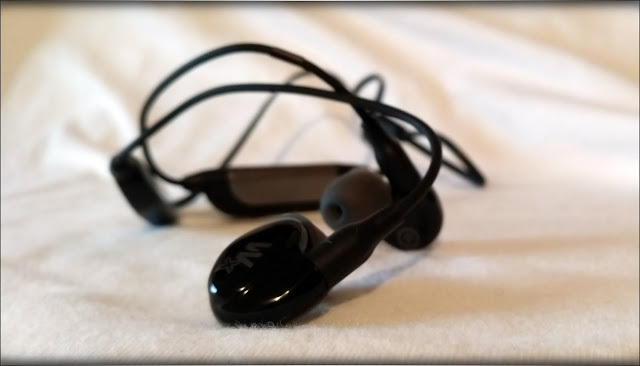 As for a few notes we made during our tests, WX is extremely power efficient, and it can get loud enough from the Wireless signal, thing which we consider a major plus as we had some issues getting the right amount of volume with some IEMs and Headphones based on Bluetooth technology. 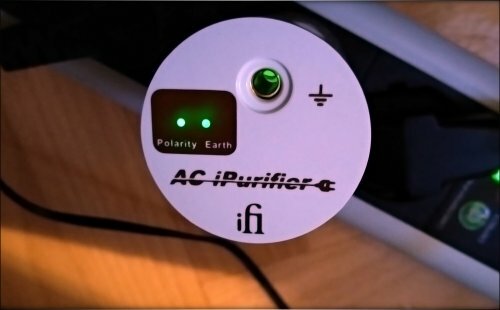 WX is also compatible with APT-X technology, and they sound darn good when combined with a source compatible with APT-X. 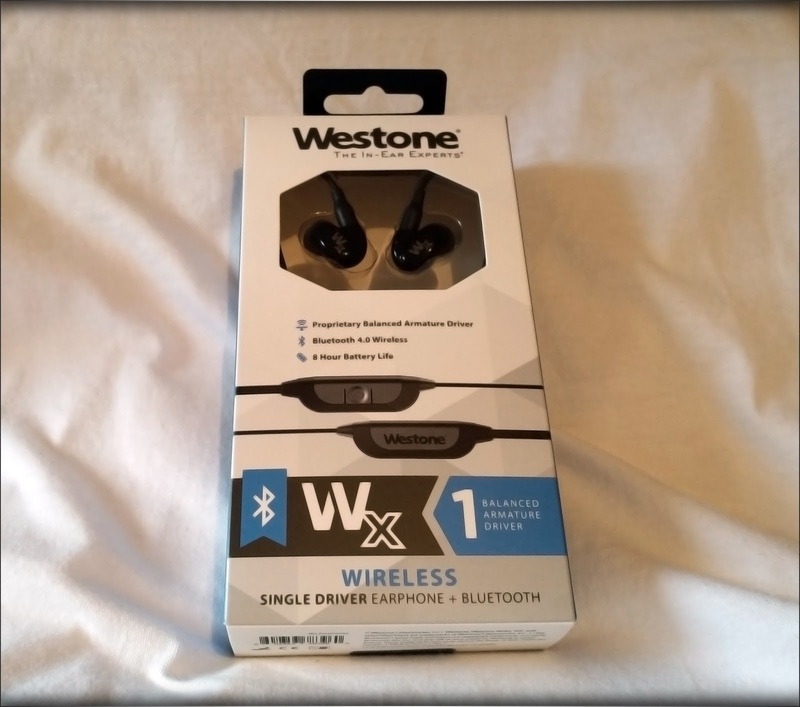 All in all, we are happy with the overall build quality and comfort of Westone WX, and they reach golden levels for their comfort. 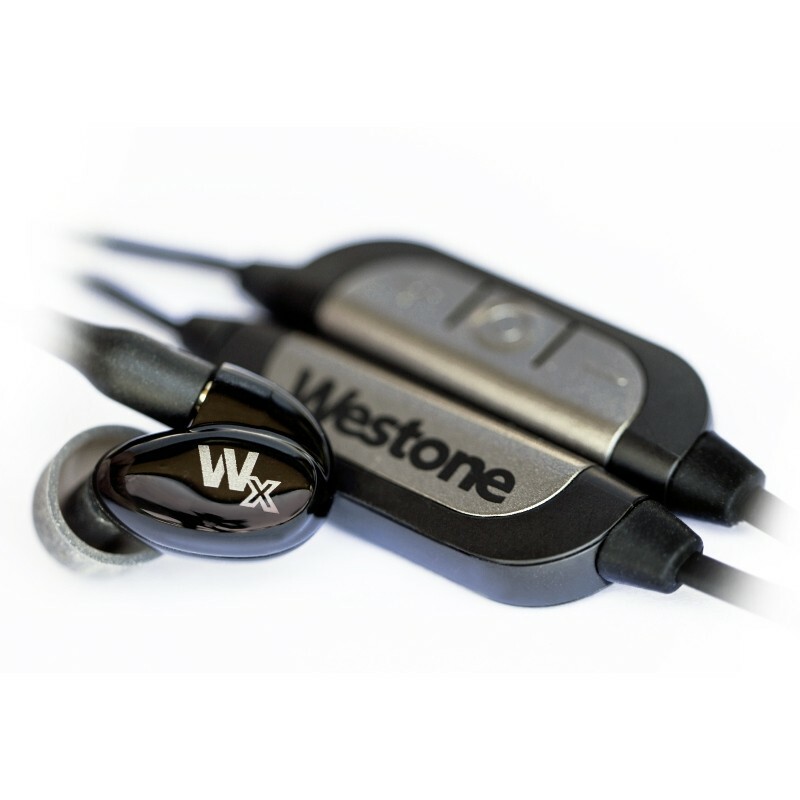 Westone WX is a 1-BA IEM, with a custom designed Balanced Armature. The overall tuning is towards a bassy and relaxing experience, with a thick overall sound, a good weight for each musical note, and a thicker, and not extremely detailed midrange, and a smooth and relaxing top end, with not quite that much bite, but with a very relaxing and laid-back presentation. WX are quite dynamic as an overall tuning, being good at staying engaging even despite their signature which is made for those looking for a relaxing moment. The bass is generally deep and thick, the bass impact is amazingly good and the bass goes surprisingly low, sometimes maybe crossing a bit in the midrange, but being a very satisfying and forward bass. 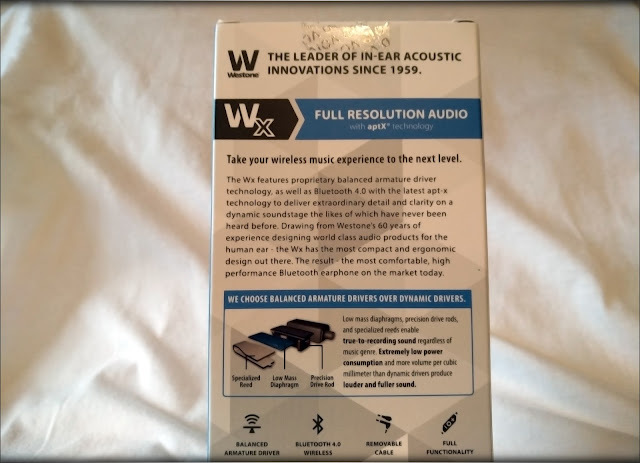 Bass-centric music sounds most impressive and WX provides one of the most engaging experience for bass lovers we've seen in this price range, especially against other wireless IEMs based on a single BA transducer. The midrange is thick and has a natural overall tonality. The bass adds some warmth and extra impact to the midrange, making male vocals sound deep and extremely satisfying, while guitars don't have quite the bite they have on other IEMs which are tuned with more upper midrange bite. One thing is for sure, WX is very smooth and laid-back, being rather good if you're looking for a relaxing IEM. The treble is extremely smooth and relaxing, ending a bit quick and feeling rather made to pair with their overall fun and relaxing tuning, as it takes a more background place when compared to the midrange and the bass. The sonic signature works extremely well with electronic music (as this kind of music usually has the treble enhanced already), hip-hop, and Jazz music, along with low-fi and more laid-back music like trip-hop. It might not work as well with Rock or Metal, as it lacks the bite in the treble for this kind of music, although the thick and forward presentation might be fun for some metal music lovers, especially those looking for a fatigue-free experience. The soundstage of WX is one of its rather impressive features, and while we can't explain exactly why or how Westone managed to give them this space, they have a larger stage, along with a good amount of space between instruments and a healthy instrument separation, which is quite interesting, as it makes the fun and bassy signature very dynamic and gives them a very enjoyable overall tuning. We had the chance to test WX with FiiO X7mkii and Samsung T580, both of which sport APT-X codecs, and we were quite satisfied with the results. 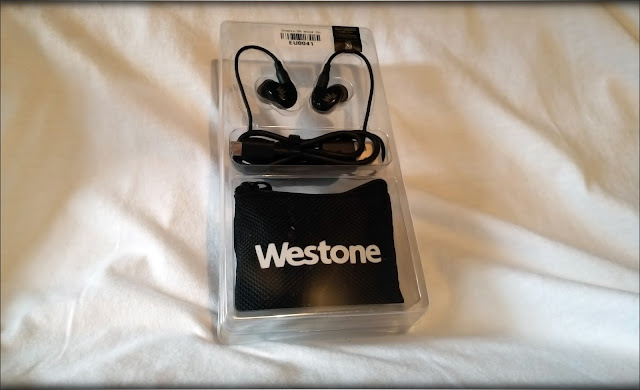 Westone WX is quite light and has a golden comfort, along with very good noise isolation, so they work well with any kind of portable usage scenario. Since those are Bluetooth IEMs, we can't speak about combinations as all devices should send a very similar signal through their bluetooth, but we'd like to mention that APT-X enabled devices will sound much better with them than non-APT-X devices given their Wireless-only nature. Furthermore, their connection is within the more stable connections we tested, and they seem to have a very stable Bluetooth signal, along with a lightweight Bluetooth cable and excellent overall ergonomics. The Bluetooth remote has the buttons etched so they can be used without seeing them, a part we consider essential for any Bluetooth enabled device. 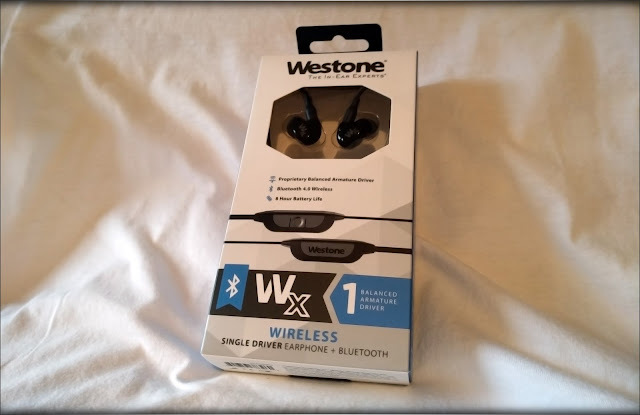 The pairing is quick and simple, and there is no Left-Right imbalance on the Wireless cable, the overall experience of Westone WX being rather pleasing. Those little IEMs can also be used for making and receiving phone calls, and while the buttons only offer very basic functions in this sense, the voice call quality was good, and the person on the other side could hear us clearly and with good detail, although WX might pick on the background noise as well, given their sensitive nature. First, we'd like to make it clear that WX is a 150$ IEM with a tuning very similar to Westone UM1 also produced by Westone, but with a Wireless Bluetooth Cable included in the package, which comes with APT-X abilities and an excellent overall Wireless performance. 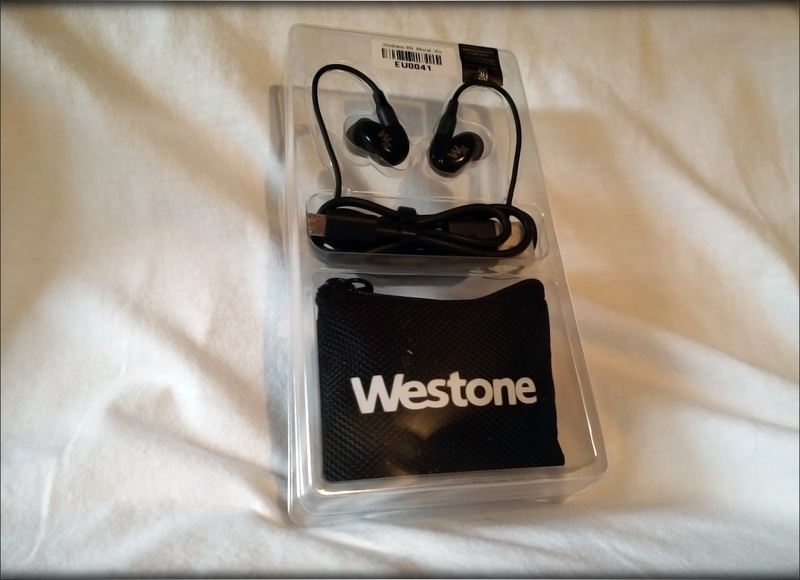 Considering their price and their overall performance, WX from Westone are an amazing IEM for those looking for a laid-back and relaxing experience, the Wireless connector being just the cherry on the cake, the overall IEM being amazingly well-built, very comfortable, and very pleasing aesthetically. 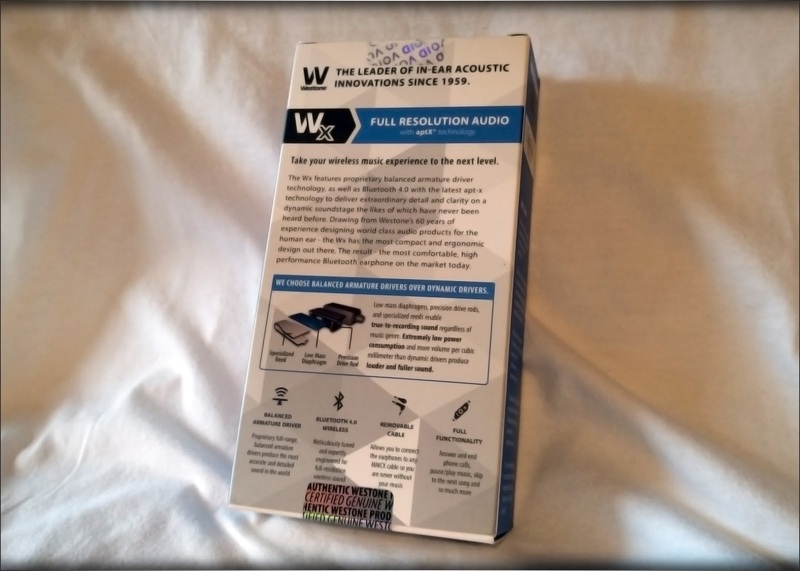 If you like a bassy signature that focuses on staying dynamic while being thick and satisfying, you should really consider Westone WX for your option, and we also recommend purchasing them from HiFiHeadphones, a great shop to purchase your IEMs and Headphones from.